Harris Hayman is the author of one collection of poetry entitled Hotel of Tragic Books (Colby College UP, 2018). He is twice the recipient of the Mary Low Carver Poetry Prize (17-2018). 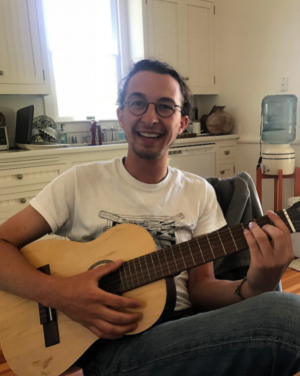 Harris graduated from Colby College in May having completed a dual degree in Poetry and Environmental Policy. Poet, essayist, and 2004 Kate Tufts Discovery Award winner, Adrian Blevins describes Hayman’s work as “sorrowful yet meditative landscapes of the interior.” His imagistic poems work to embody the energy and gestures of the cattle-dusted places they unravel. If you'd like to be considered for our next Arist in Residence, please Contact us.